SOS Auto Body, located in Ozone Park, NY is an auto body and paint shop that caters to each customer’s unique needs. 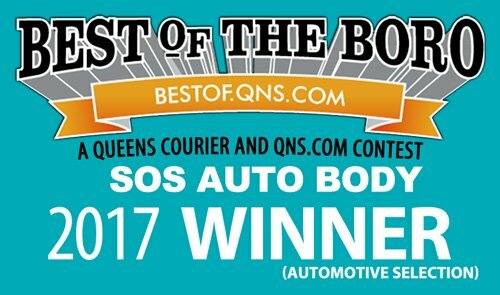 Here at SOS Auto Body of Ozone Park, NY, we offer years of experience, excellent craftsmanship and great customer service every time. We restore your vehicle to factory specifications using the very best equipment and paint. 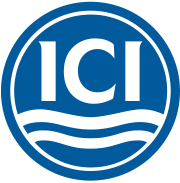 We conduct our business honestly with integrity. We take pride in what we do and back our work with lifetime warranties on our work and paint. Don’t trust your auto with anyone else! Call or visit us for an estimate on auto body repair or auto glass today! At SOS Auto Body of Ozone Park, NY, we offer a wide variety of services that are designed to keep your automobile in tip-top shape. We understand that your vehicle’s a major investment and that you work hard to keep it in good condition. So, if your or requires major repairs, call us or set up an appointment online. 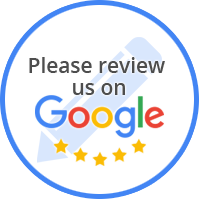 “Excellent overall experience, SOS quickly got me processed, in a rental car and helped process my claim so quickly and effortlessly. The work was done quickly, even during the holiday season and the quantity of work was outstanding. Car was even detailed entirely! Thank you so for making this such an easy process! “I was a skeptic of this place at first, given that it was my very first accident. I was without a doubt a difficult one to deal with, let alone please. I questioned everything ... Went as far as googling and making my own diagnoses. The end result a beauty. It's as if nothing ever happen!!! That's to say the least. The older man there made me feel at ease. I'm not sure his name but he gave me the greatest realization and that's never forgetting God and to worship him always . To many, that very statement would be ignored because we don't want to talk religion. I don't either but for a person to be as vulnerable and to share his beliefs with a total stranger ...I will forever give my loyalty. Connecting with your customers is key to building a successful business. “I had a car window smashed in during a freezing rain monsoon. These guys picked up the car within an hour of my call and worked seamlessly with the insurance company to get it sorted out. Jesse was awesome to work with, they fixed it fast and the quality of the repairs is excellent.